Top 5 best video recording software for Windows. The most popular, simple-to-use software for recording video on your computer. Video is a great way to share your knowledge and experiences to your viewers. There are different ways to create videos and one of them is to record your computer screen. In order to do that, you’ll need video recording software. There are some good free options in this article for you to download and use without any limitation. In today post, I will concentrate on the best video recording software for Windows PC only. Despite the fact that, there are other better software can both record screen video and take screenshots professionally like Snagit 2018, Screenshot, Icecream or Smartpixel and so on. Ease of use: This is the first and the most important feature you have to consider when choosing the best video recording software. Don’t try to learn something that’s beyond your ability to learn because, this kind of software should not be difficult to learn, even it is the first time you use it. Recording video in full high definition (Full HD). Nowadays, no one expect to watch a low quality video (less than 480p). Don’t share your videos if they are not in full HD quality if you want to attract more viewers. Editing video capability: Remember that it is almost impossible to record a video perfectly at one time. You always need to edit it such as: trimming unwanted parts or adding some explanations, transitions effect on it, for example. Rendering video: Simple video recording software allows you to record video in 1 or 2 output format types such as MP4 or AVI. They don’t provide an option to render it into other outputs. Good video recording software will offer you many more options than that. Those are the basic must-have features. So what you can find in my post? This is a list of 5 best video recording software. They are sorted by our ratings from 1 to 5 in a list. Don’t be surprised if you see the first position software is the most expensive one while the second and the last position are free software. There are some reasons to do that. Camtasia has been known as one of the most professional screencasting software in the world for many years. It is the truth that Camtasia Studio 9 is unbeatable video recording software as now. In Camtasia, you can record anything on your screen, customized frame, record from webcam, record video with audio from microphone or system sound. Its interface is so simple that you can learn in just a second. After finish recording, Camtasia will send your footage into Media bin where you can edit the footage with its professional, built-in video editor. It’s a pity that we can only try this software in 30 days because of the maker’s limitation. However, I think it is enough time for you to know how to use the product and consider purchasing it or not. If you want to know more about Camtasia Studio 9, take a look at my full review about it here. The following video will show you how to record video, edit it and share it with Camtasia Studio 9. See it. Try Camtasia Studio 9 now! ActivePresenter is the next option for recording video on your Windows. I believe that it is the best free video recording software for Windows at present time. Regardless of the shortage of webcam recording capability, ActivePresenter deserves to stand out the crowd in screencasting industry because of its amazing features. In terms of video recording, ActivePresenter provides as simple to use as Camtasia screen recording tool which can record anything on your computer screen, a part of the screen with audio and systems sound. It is also possible to record cursor movement, set cursor overlay, and customize hotkeys and many more. The best part of ActivePresenter is not only the possibility to record video in full HD quality but its powerful, built-in video editor. Once you finished editing your videos, ActivePresenter will allows you to render video into AVI, MKV, WebM, MOV and even HTML5. Within a short review, I can’t tell you thing about it here. But, if you want to learn more about ActivePresenter, take a look at my full review here. Watch this introduction video to see all ActivePresenter’s features. In comparison with Camtasia and ActivePresenter, Filmora video editor has similar options in recording capability. It has a powerful, built-in screen recorder that you can use to record anything on the screen or webcam, audio from microphone or system sound. You can also choose mouse click record and set stopping time for your recording. The quality of recorded video is as good as the above mentioned tools. On the other hand, Filmora provides an elegant video editing tool where you can many thing more with your footage such as: cut, trim, crop or insert existing video into the timeline for editing. Adding transitions, effects are really simple in Filmora. The minor drawback of Filmora is the lack of annotation tools which are key features for making how-to video and product demonstration videos. Anyway, it is a great video recording software you can trust. See how to record video in Filmora video editor in the below tutorial. Movavi Screen Capture Studio is a program that combines features of both screen recording and video editing software. It means that you can use it to record videos from your computer screen and then edit those videos the way you want. The editing tools include splitting, merging, cropping, rotating, adding extra clips, music, images, transitions, titles, special effects and more. If a simple screen capturing utility is not enough for you, try Movavi Screen Capture Studio. This versatile app combines all the features of Screen Recorder plus a video editor, so you can transform captured videos into tutorials, video blogs, program demos, and much more. 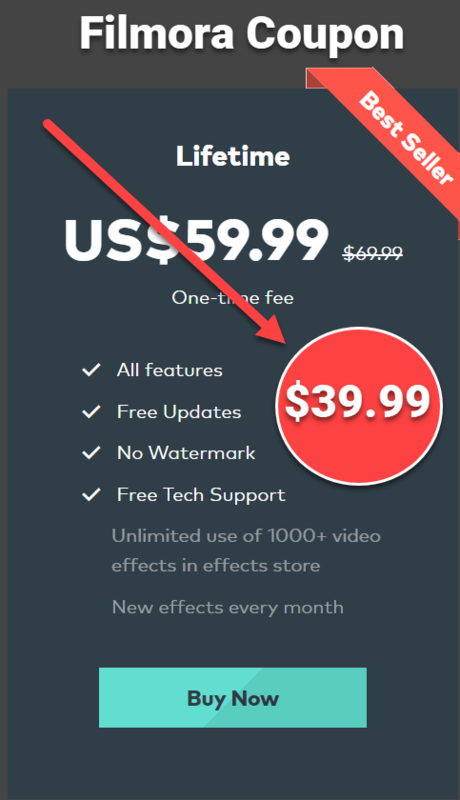 As many other Movavi’s products, this Screen Capture Studio will leave a watermark on your recordings and you need to purchase a license to remove it. Take a look at this software in this video to see how it works. Try Movavi Screen capture Studio now! Last, but not least is VSDC free video editor. This is one of the amazing video recording software that you can use for Windows. While its video recording capability is a little bit simple in comparison with the above mentioned tools. It can only record video and save it into some formats. But the quality of recorded video is really good and its built-in video editor is absolutely an awesome gift from Flash Integro. If you are looking for an all-in-one software with a screen recorder, a video editor and screencasting tools then you should always remember VSDC free video editor. Take a look at my full review here! Let’s see how to record video and edit it in VSDC free video editor in the below tutorial. Have you ever used the above mentioned video recording software for creating tutorial video, promotion video or product demonstration videos? If yes, share with me your experience in the below comment box. I would love to hear from you. Top 10 Powerful Video Editing Software You Must Try!